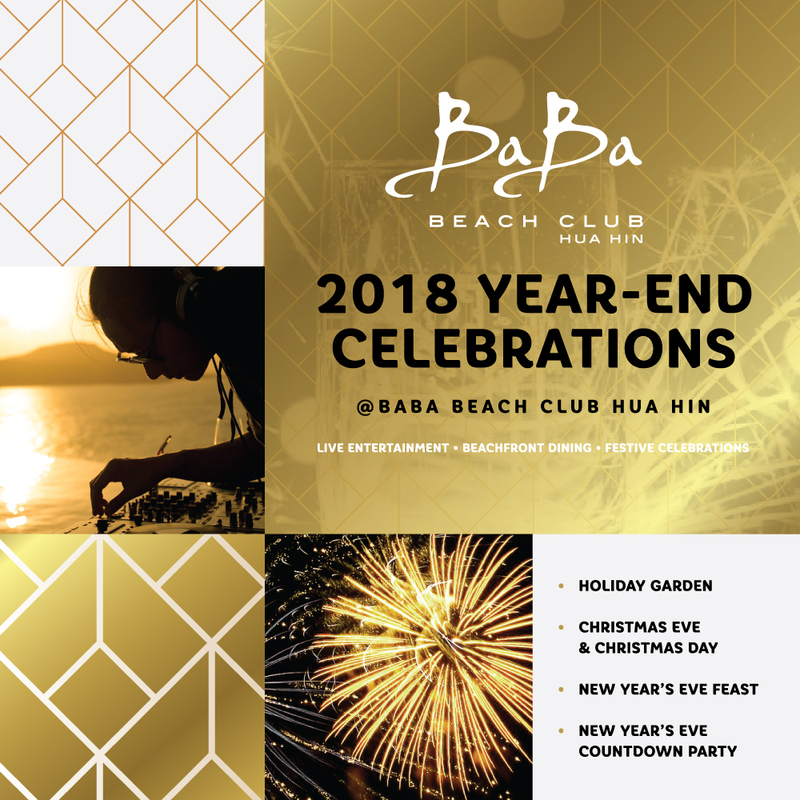 Create truly memorable Christmas & New Year’s memories with family, friends and loved ones @ Baba Beach Club Hua Hin this festive season. Enjoy our festive celebrations with sublime food, holiday activities, live performances, and family fun by the beach. Spend your weekends by the beach with live entertainment & exclusive draft beers from early afternoon until late at Baba Beach Club Hua Hin. Celebrate with family, friends & loved ones experiencing our signature five-course set Christmas menu available for both lunch & dinner featuring a selection of Christmas delights. Enjoy our signature new year’s eve feast with seafood on ice, BBQ & pasta stations, local Thai favourites & more. Paired together with live entertainment, majestic fireworks, vibrant beach views & live Djs celebrating the last night away at Baba Beach Club Hua Hin. THB 5,500++ per person including one bottle of sparkling wine per couple. New Year’s Eve Countdown Party at THB 1,200 net per person entrance fee including one drink.